Every Orthodox Church needs an anointing brush to administer consecrated oil during important church ceremonies such as the Mystery of Chrismation, anointing of the sick and other church rites. Istok Church Supplies offers a splendid collection of high quality anointing brushes and beautiful jewelry anointing sets at attractive prices. An Orthodox anointing brush is a sacred tool through which the chrism or holy oil is applied so that recipients receive the gifts of the Holy Spirit. Chrism forms an important part of baptismal rites wherein a new convert of the Church is anointed with holy oil in the Mystery of Chrismation. Made of olive oil and a range of fragrant ingredients, the holy oil or Myrrh is applied on individuals as well as important Church articles such as a church building, the Altar Table and walls. As such, the anointing brush is an indispensable item in Orthodox Churches. 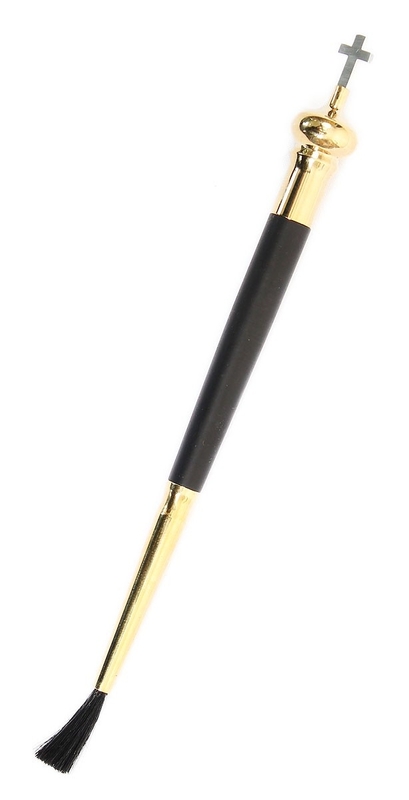 We offer anointing brushes that are light weight, elegant in appearance and highly functional. Whether you prefer the simplicity of ebonite and stainless steel or the extravagance of brass with gold-gilding, you can purchase according to the requirements of your church. We also offer exquisitely carved wooden anointing brushes. For each product, we mention the length and weight so customers can make well-informed purchase decisions. Most of our designs are topped by a cross for added impact and beauty. We invite you to browse through our special collection of beautiful Greek Orthodox jewelry anointing sets that are available in myriad designs. 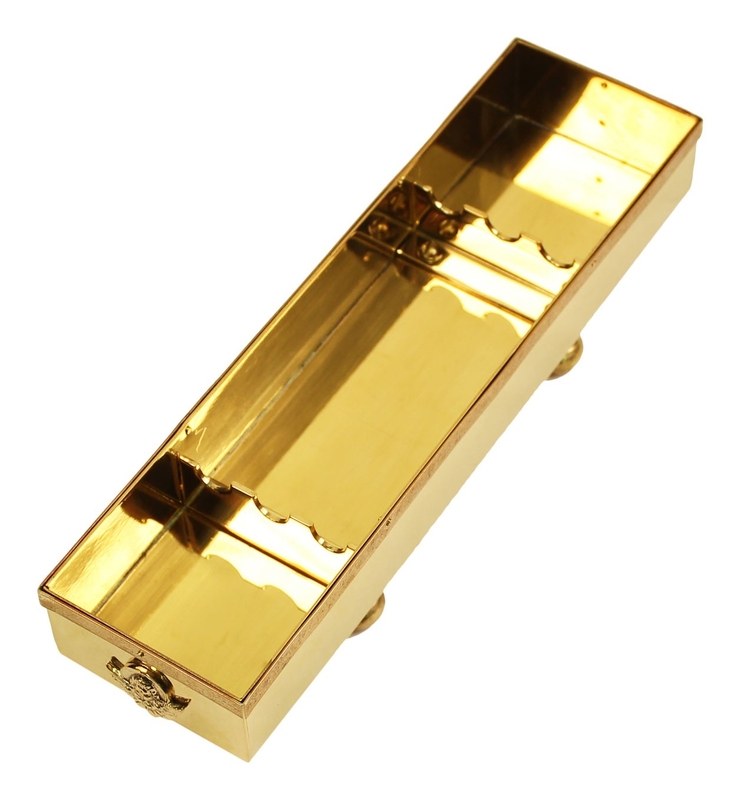 Made from quality materials such as brass, these products feature beautiful enamel work, hand painting, gold gilding and stones – they are truly a magnificent sight to behold and display when required. Whether you prefer the design of an uncovered vessel with anointing brush, a covered vessel with anointing brush or a complete set of vessel, brush and plate, you will not be disappointed with our choices. Celebrate the Mystery of Chrismation with our exclusive collection of anointing brushes!